THE age-old war around Marijuana– or Cannabis – between cheap remedial solutions and big bucks is still raging. AND It started way back in 1937 already. The legal history of cannabis in the United States pertains to the regulation of cannabis (legal term marijuana or marihuana) for medical, recreational, and industrial purposes in the United States. Increased restrictions and labeling of cannabis as a” poison “ began in many states from 1906 onward, and outright prohibitions began in the 1920s. By the mid-1930s cannabis was regulated as a “drug “ in every state, including 35 states that adopted the Uniform State Narcotic Drug Act. The first national regulation was the Marihuana Tax Act of 1937. Cannabis was officially outlawed for any use (medical included) with the passage of the Controlled Substances Act (CSA) of 1970. Multiple efforts to reschedule cannabis under the CSA have failed, and the U.S. Supreme Court has ruled in United States v. Oakland Cannabis Buyers’ Cooperative and Gonzales v. Raich that the federal government has a right to regulate and criminalize cannabis, even for medical purposes. Despite this, states and other jurisdictions have continued to implement policies that conflict with federal law, beginning with the passage of California’s Proposition 215 in 1996. By 2016 a majority of states had legalized medical cannabis,and in 2012 the first states legalized recreational use. BUT why would the federal government then outlaw a plant that has so much cheap potential curing abilities? Well- for that answer we must go search a bit deeper- and as usual- we simply have to follow the money-line to get to the root of this contraband evil. Let us reverse back into history- back to the year 1937. Let us meet the man that played a major part in lobbying for the illegalization of Cannabis in the United States- one RANDOLPH HEARST. ONE of the things that happened in 1937. Cannabis Hemp was one of history’s most widely used plants. Tincture of Cannabis was the basis for almost every patent medicine prior to the discovery of Aspirin. Hemp was used for rope, twine, and cloth. Sailing ships were loaded with hemp. The word “canvas” is derived from “cannabis”, because that’s what canvas was. Sails were made of hemp because salt water deteriorated cotton. Old sails were made into wagon covers and ultimately original Levi’s Jeans. And the pressed oil from hemp seeds was used for paints and varnishes. Everyone knew what hemp was. But nobody knew what marijuana was. Ok. So we have an “elite “ group of special interests dominated by Du Pont petrochemical company and it’s major financial backer and key political ally, Treasury Secretary Andrew Mellon. Mellon was a banker who took over Gulf Oil Corporation. In 1913, Henry Ford opened his first auto assembly line, and Gulf Oil opened its first drive-in gas station. In 1919, with ethanol fuel poised to compete with gasoline, Alchohol Prohibition descended on the nation. Lucky Mellon. When President Harding made him Secretary of the Treasury, he was considered the richest man in America. In the 1920’s, Mellon arranged for his bank to loan his buddies as Du Pont money to take over General Motors. Du Pont had developed new gasoline additives and the sulfate and sulfite process that made trees into paper. In the 1930’s, Ford Motor Company operated a successful biomass fuel conversion plant using cellulose at Iron Mountain, Michigan. Ford engineers extracted methanol, charcoal fuel, tar, pitch ethyl-acetate and creosote from hemp. The same fundamental ingredients for industry were also being made from fossil fuels. During the same period, Du Pont was developing cellophane, nylon, and dacron from from fossil fuels. Du Pont held the patents on many synthetics and became a leader in the development of paint, rayon, synthetic rubber, plastics, chemicals, photographic film, insecticides and agricultural chemicals. From the Du Pont 1937 Annual Report we find a clue to what started to happen next: “The revenue raising power of government may be converted into an instrument for forcing acceptance of sudden new ideas of industrial and social reorganization”. WR Hearst– business tycoon that lobbied against and bribed senators to contraband Cannabis as it posed a threat to his plantations and paper industry. Hearst had always supported any kind of prohibition, and now he wanted Cannabis included in every anti-narcotics bill. Never mind that Cannabis wasn’t a narcotic. Facts weren’t important. The important thing was to have it completely removed from society, doctors, and industry. Around 1920 or so, a new word arose – “Marihuana”. 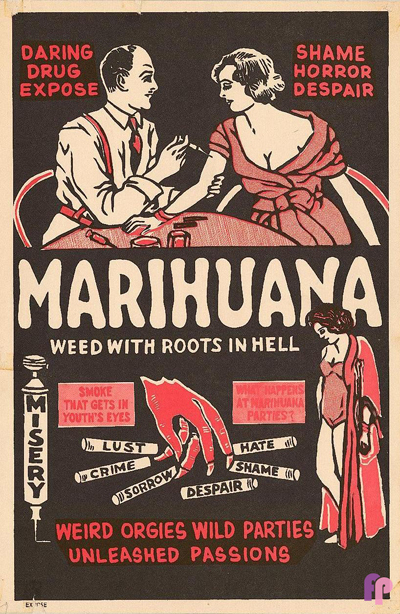 Through screaming headlines and horror stories,”marihuana” was blamed for murderous rampages by blacks and Mexicans. Hearst continued to use his power of the press to impress on his readers the dangers of the “marijuana” plant. The typical bullsh*t Randolph Hearst– father of Patty Hearst placed in his newspapers to swing public opinion against Marijuana. Today this Corporate wolves are playing the same fake propaganda game to line their own pockets again. When the Federal Bureau of Narcotics was formed in 1932, Mellon’s nephew Harry Anslinger was appointed its head, a job in Mellon’s treasury department that was created just for him. Treasury agents were beginning to operate on their own agenda. Deep in the throes of the depression, congress began to reexamine all federal agencies. Anslinger began to fear that his department was in danger of emasculation. Although worldwide, hemp was still big business, in 1935 the Treasury Department began secretly drafting a bill called The “Marihuana Tax Act. ” The Treasury Department’s general consul Herman Oliphant was put in charge of writing something that could get past both Congress and the Court disguised as a tax revenue bill. Congress wasn’t all that interested in the matter, seeing as all the information they had to work with was what was provided to them by Anslinger. 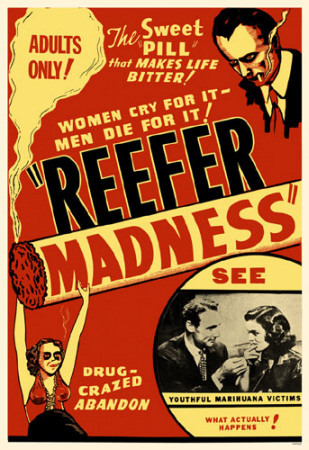 They deliberately collected horror stories on the evils of marijuana pulled primarily from the Hearst newspapers, called Anslinger’s “Gore Files. ” Crimes that had never happened at all were being attributed to marijuana. 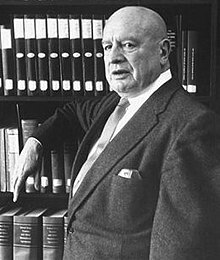 Harry Anslinger– paid matelot of Hearst and nephew of Mellon. Sent lots of crap propaganda about Marijuana into the world. Pharmaceutical companies are one of the biggest influences in the US economy and, subsequently, in US law. It is no secret that Big Pharma has lobbied against medical (and recreational) marijuana legalization as they stand to lose a substantial amount of money. Big Pharma Stands To Lose $18.5 Billion If all 50 States Legalize Medical Marijuana. States that have already legalized medical cannabis are already seeing the effects: prescription drug usage has decreased by an average of 11 percent. The National Academies of Science keeps track of the conditions most effectively treated with medical marijuana , and nearly all of them have high-profit prescription counterparts. Among the conditions are glaucoma, chronic pain, nerve disorders/pain, post-traumatic stress disorder, anxiety, sleep disorders, and nausea/vomiting associated with chemotherapy. Big Pharma is an incredibly powerful and lucrative industry. While $18.5 billion in losses over a three year period may seem enormous, “medical cannabis would be a drop in the bucket when it comes to impacting the total pharmaceutical industry”, according to Giadha Aguirre De Carcer, founder and CEO of New Frontier Data. IN South Africa where Marijuana now is legalized malicious messages and fake pictures on Facebook and WhatsApp now are doing the rounds about a bunch of children that allegedly were “poisoned” by the “illegal substance “ that is now ” legalized.” The unidentified male narrator then goes on in Afrikaans– telling the listener about this “destructive” substance, etc,etc- playing on people’s emotion and sentiment for their children’s “safety.” This is typical the kind of bullsh*t Randolph Hearst start to spread during his campaign to get Marijuana contraband.Now they are using children to invoke sentiment for parents to get mind-f*cked. How low can these big corps get? Apparently not low enough! This is a direct attack on Marijuana to get it contraband in South Africa again. They want to evoke anger and public resentment against Marijuana. ..but deadly substances like “Tik”, Morphine, LSD, Amphetamine, liquor, etc,etc which are the central core of drug users self destructive habits are not attacked by these same malignant corporations. Readers must not even listen to this fake propaganda as Marijuana is a life saving plant that could save many lives and millions of dollars. That is why this false propaganda smear campaigns are launched. To see the amazing health and economic benefits including cancer fighting characteristics of Cannabis/Marijuana you can simply type “cannabis medical advances “ or something similar into Google and see for yourself what a revolutionary plant this is. This is why Big Corp hates it!